Cover-More was established in 1986 in Australia and provides travelers in Australia, India, Malaysia, New Zealand, the U.K., and now the U.S. with high quality travel insurance coverage and round-the-clock customer service. Cover-More is a travel insurance partner of many well-known brands, including airlines, and we have exclusive, long-term and aligned relationships with major travel agents in Australia and abroad. We believe all travelers have a right to feel connected, special, individual, safe and valued--and not just the small percentage who need help. Each year, Cover-More provided travel insurance, rental car excess insurance, or emergency assistance to 7.3 million travelers around the world. Although we have millions of customers across the globe and manage thousands of claims each year, our team of travel insurance and emergency specialists treats each customer with the quality of care they deserve – the highest quality. We are able to meet our customer's needs quickly, thoroughly, and effectively – anywhere, anytime. 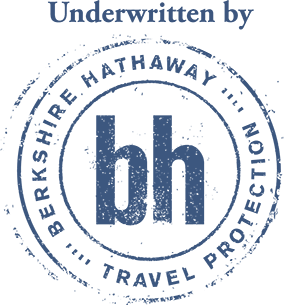 We’ve partnered with Berkshire Hathaway Travel Protection to provide our U.S. customers with the highest quality coverage. BHTP is keenly aware of the importance of travel insurance, both to travelers and travel businesses. BHTP’s product line is designed to make travel insurance an affordable add-on for every traveler and every trip. The Cover-More travel insurance products available on this site are underwritten by Central States Indemnity Company of Omaha, National Liability & Fire Insurance Company, National Indemnity Company, and Berkshire Hathaway Specialty Insurance Company (formerly known as Stonewall Insurance Company). For more information on BHTP and these companies, please visit their website.